Ubuntu caught in the wild, this time in a NASA video! Ubuntu is popping up everywhere. Google's Project Tango video and driverless car project were recent examples. Then there was this news about French Armed Forces' adoption of Ubuntu en masse. Everything points to a brighter future for Ubuntu OS. It almost seems like Ubuntu and Linux are slowly becoming the de facto choice for enterprise users. 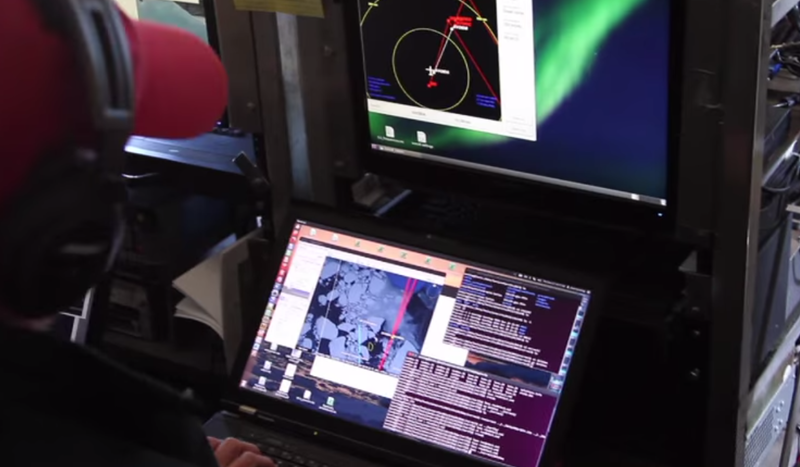 Ubuntu spotted in a NASA video! It's just a 2 mintues long video. But if you're impatient, skip to 1:25. Thanks to our reader Evan for tipping us. If you have an interesting bit of information to share with us, feel free to use our contact page. Thanks for reading, see more Linux news here.